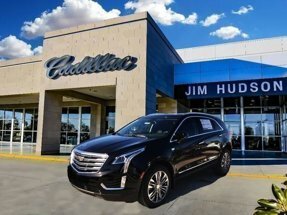 Description Contact Jim Hudson Buick Gmc Cadillac today for information on dozens of vehicles like this 2019 Cadillac XT5 FWD 4dr Premium Luxury. This is about the time when you're saying it is too good to be true, and let us be the one's to tell you, it is absolutely true. The Cadillac XT5 FWD 4dr Premium Luxury will provide you with everything you have always wanted in a car -- Quality, Reliability, and Character.